Another surprise dinner from my wife this evening! 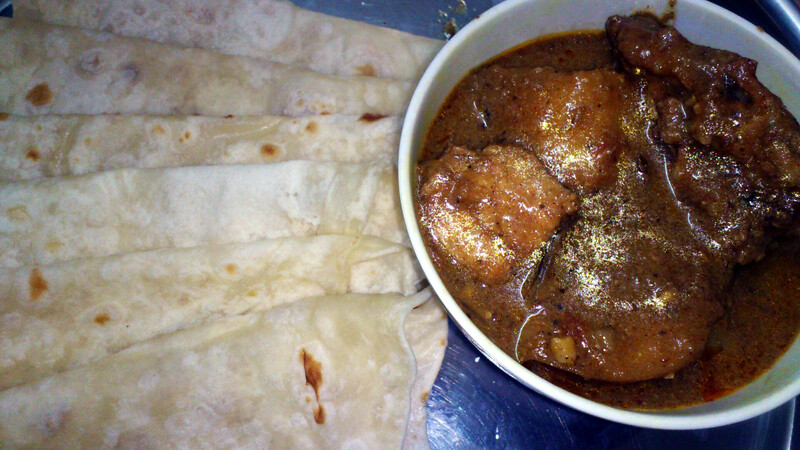 “Murgi’r kosha mangsho” (in bengali) that is thick Chicken curry with soft Parathas. Oh man! The curry was awesome. Its color and smell, and the green chilly. I love green chilly.